It’s Wednesday! That means new comic book day. I’m here with four new books (well…three new and one old, I guess) that hit the shelf today! 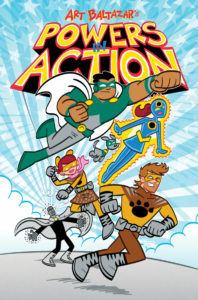 Art Baltazar’s Power In Action from Action Lab and Aw Yeah Comics! One for the kids my friends. Very Art Baltazar, this issue is bold in color, silly in writing, and completely kid friendly. If you are looking for something for little ones needing a break from Teen Titans Go, give this one a shot; it has the same feel with completely different characters. Also have to give Action Lab props for the courage to print thirty pages of story with NOT ONE AD tossed in the middle of the action! This looks to be a four-part series about a guy that solves big problems for money. He’s indestructible. He’s an alcoholic. He’s thus far, not that original. The art is good. It has that sketchy, solid-color, dark-shading that we’ve become all too familiar with these days in tonally dark comics. Add that to the indestructible, moody protagonist, and this series is going to have to pick up tremendously over the next three issues for me to keep reading. Some interesting page layouts though…I’m always a fan of big panels and large white gutters. Also, again, a fan of no ads breaking up the story. Thanks, Dark Horse! I guess Marvel is going to be publishing a bunch of old classic comics with original ads, letters, and art. I’m lukewarm on the idea. Those of you that read my recent post on nostalgia know that I’m not a fan. I get respecting the history, but seriously, I’m angry enough about the current state of Marvel/DC’s twenty pages of story with fourteen pages of ads. The last thing I need is old ads and new ads for $3.99 when I can pick up the classic tales in Marvel omnibuses…with no ads. A gimmick is a gimmick, and this is a gimmick. It doesn’t look good; it gave me a headache. 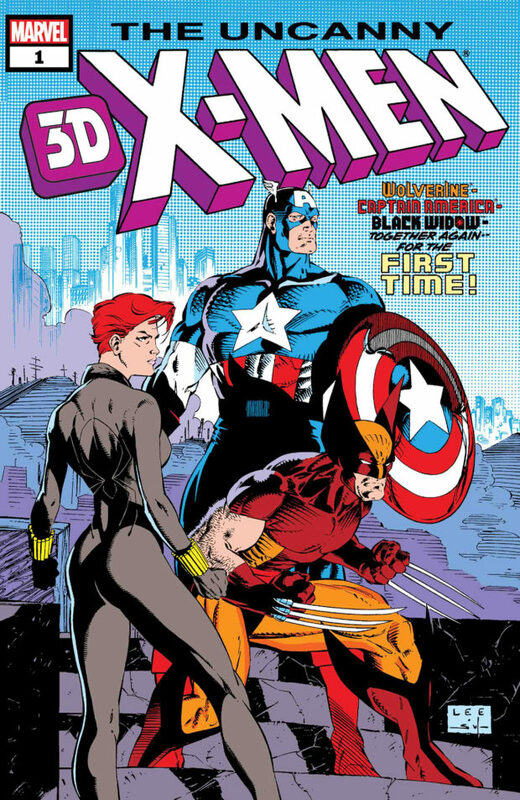 Does the art of Jim Lee really need to be in 3D? Look, I guess it works from a marketing standpoint, Marvel…you got me to buy it! I bought it, but I’m telling you readers that you do not need this. 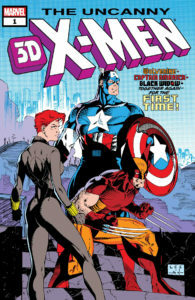 Go read the original if you want; it’s a cool, classic X-Men tale. You don’t need to spend $7.99 on whatever was trying to happen here with the 3D. My best of the four this week is this cool Sci-Fi comics throwback. 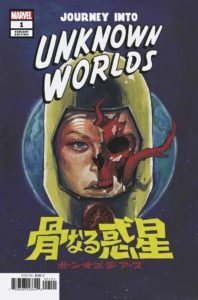 A two mini-story issue inspired by classic tales of the past, Journey Into Unknown Worlds finishes with a cool back-matter essay by James Beard about the history of this type of storytelling in Marvel Comics. The two stories in this issue, penned by Cullen Bunn and Clay McLeod Chapman are fantastically paced and classically freaky for their limited page count, and the art/panel structure is very current creating a cool juxtaposition of classic and modern. It seems like Cullen Bunn has an issue or story coming out every week, and I have to admit, I dig it all. Most writers suffer when stretched too thin, not Bunn. Keep it coming, my friend! At the end of these posts, I’m keeping a running list of the “Best of the Four” publisher wins! Here you go. 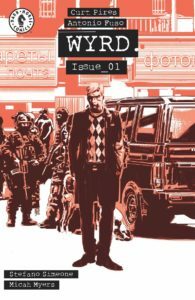 Fifteen weeks in…and Marvel pulls one more point closer to Image Comics.